Osama bin Laden’s burial at sea and the history of Shariah. It has been one week since President Obama announced that Osama Bin Laden was dead. I happened to be in New York City when the announcement was made so I immediately began taking stock of the entire situation. Within the annals of infamous dead bodies (Eva Peron, Hitler, Che Guevara, Mao, Lenin, etc.) Bin Laden’s corpse is an important specter for twenty-first century human history. I began collecting news articles on what exactly happened to Bin Laden’s dead body since I knew that controversy was sure to follow. My first inkling that something was askew came on Monday morning when National Public Radio reported that Bin Laden received a sea burial with full Muslim funeral rites. I’m not a Muslim burial rites specialist but at no time have I ever read about a Muslim burial at sea. The Death Reference Desk has certainly covered contemporary (mostly American) Muslim burial practices and you can read that information here. 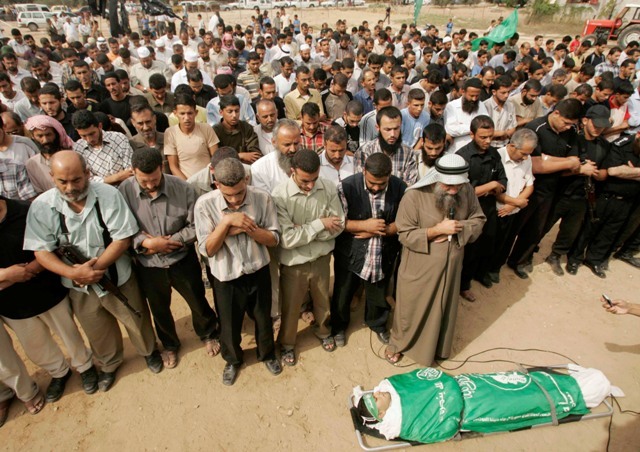 But even the most contemporary, American Muslim traditions still hew to much older Islamic funeral traditions. Over the course of last week much back and forth ensued over what exactly happened to Bin Laden’s dead body and how, if at all, it conformed to Islamic funeral practices. Slate.com’s Explainer column posted one of the first good pieces on the entire concept: Bin Laden Sleeps With the Fishes. Central to what occurred was a choice by US Government Officials (I can only assume that this starts with President Obama) that burying Bin Laden anywhere would be problematic. This is a point that many people discussed so I won’t belabor it. There is one place, however, that I imagine could be used for a “proper” burial and that is Guantanamo Bay. But even mentioning that scenario would create global havoc. That said, I bet money that Gitmo got mentioned by someone and then quickly passed over. As a result, Osama Bin Laden’s dead body got put in the ocean because the United States wanted to get rid of it. I don’t think that the narrative is much more complicated than that. The use of Muslim funeral rites are nice but what happened to Bin Laden’s body was not a particularly Muslim burial. Bin Laden’s religious status is a matter of contention among Muslims. On one end of the spectrum are Muslims who consider him an outsider to Islam: if not quite an apostate, a terrorist whose right to an official Muslim prayer is debatable at best. (In 2005 the Islamic Commission of Spain essentially excommunicated Bin Laden, arguing that he should not be treated as a Muslim.) They must find it as perplexing as I do that the United States government granted the man it identified not as a Muslim, but as a “mass murderer of Muslims,” the dubious honor of a quasi-Islamic funeral. On the other end are Muslims who believe that Bin Laden is now enjoying the blessings of martyrdom. From a theological perspective, it matters little to them how Americans on the aircraft carrier Carl Vinson disposed of the corpse. Which is all to say that Bin Laden’s burial was doctrinally irrelevant to some Muslims, and confusing to others. Most of the rest feel uneasy. Perhaps the United States could not have avoided that. But a deeper understanding of the history of Islam’s sacred law could have prevented us from seeming so at sea. Here is what I know for sure: by the middle of this coming week everyone in America will be talking about something else and that over time conversations will come and go, mostly amongst academics, on whether or not Osama Bin Laden got a proper funeral. The more immediate political question focuses on whether or not the photo(s) of Bin Laden’s dead body should be released. This question, too, will go away by the middle of the week. The photos were not released now but they will surface in the future. How soon is an open question but we will eventually see the images. The On The Media program at the top has several good radio segments on Bin Laden, his dead body, and the future of his memory. 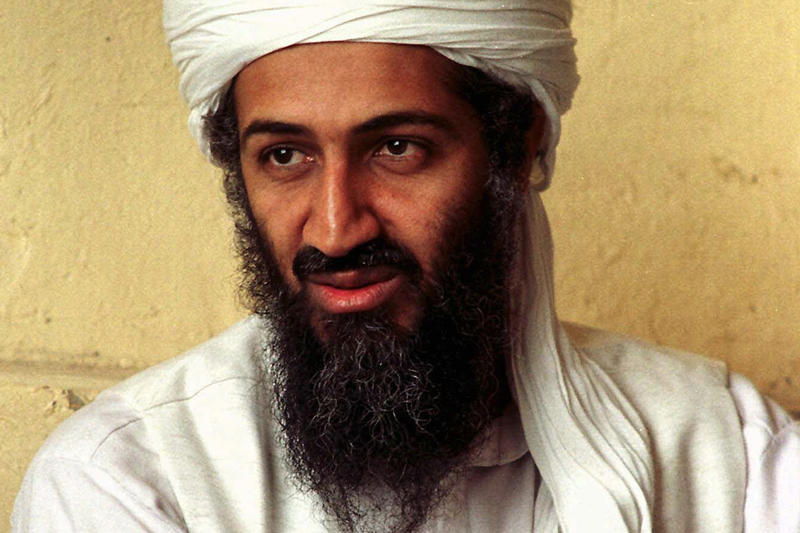 I have a hunch that Meg, Kim, and I will be discussing Osama Bin Laden’s dead body again in the near future since America has a long history of dealing with the infamous dead and in ways that keep those infamous dead bodies very much alive. Posted by John in Burial, Death + Crime, Death + Popular Culture, Death + the Law, Death Ethics and tagged anthropology, celebrity death, funeral homes, funerals, religion. Bookmark the permalink. All good stuff and thank you for this thoughtful balance. While I understand that martyrs get new bodies so it doesn’t matter what happens to the corporeal ones, I can’t believe that Muslims don’t have rites for those who die at sea. Are the many jokes doing the rounds of sociological interest? Charles: Per usual, you’ve got a good question. There are Muslim rules for sea burials (they’re discussed in some of the articles that I linked to) but they usually involve a death while at sea. Not a death on land, then a body taken to sea. Or that’s how I understand it. And I’ve seen some jokes but they aren’t very good. Ah yes of course, a not unimportant distinction. Nafeez Mosaddeq Ahmed is a London-born author and political scientist specialising in interdisciplinary security studies. He teaches International Relations at the School of Social Sciences and Cultural Studies, University of Sussex, Brighton, where he recently completed Doctoral research on European imperial genocides from the 15th to the 19th centuries.